A powerful sequencer with robot tones and FX. 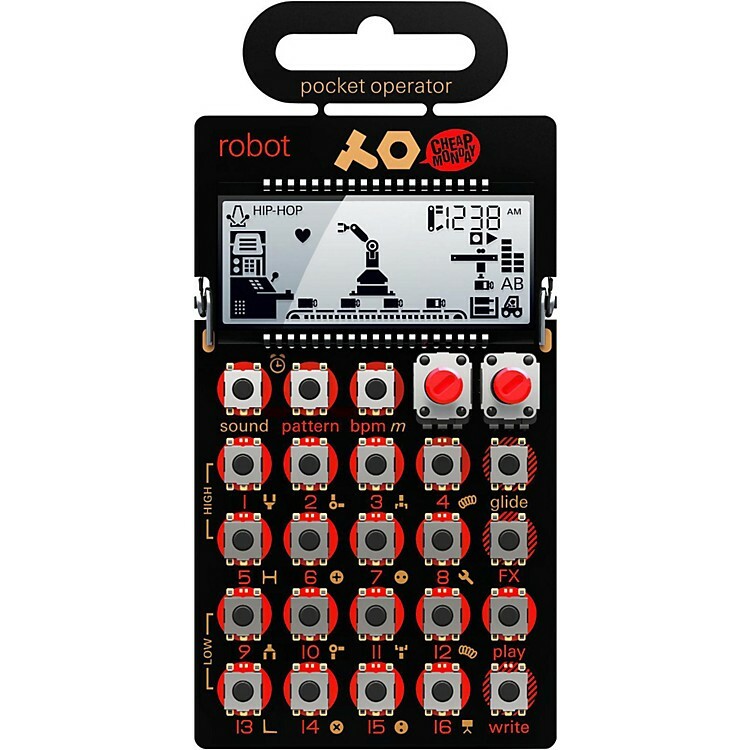 The Pocket Operator series is a fun and portable way to make electronic music, and the PO-28 is perfect for the fan of crazy robot bleeps and other droid sounds. It’s hard to describe a sound set, but picture this: a workplace romance involving two robots on the Pocket Operator assembly line results in a management dilemma. Should HR get involved? Luckily, the QC team found evidence that love was somehow absorbed into the product. Now you’re getting the idea. Order soon and put robots in your pocket.